By definition, sweaters are knitted garments, and certain knitted items have been around for centuries. They've even been found at ancient sites, such as the Egyptian pyramids. So, sweaters are pretty much as old as time. At some point in antiquity, some knitter must have made a mistake, tried to fix it by sewing some buttons on and, voila, the cardigan was born, named for James Brudenell, 7th Earl of Cardigan. It isn't too difficult to picture Cleopatra walking like an Egyptian with a knitted poncho, or Marc Anthony lounging in a cardie. But what about the ugly sweaters? You know the ones. They're usually emblazoned with reindeer (and other symbols of the holidays) and have become ubiquitous of late, a sartorial punchline. For some, the ugly holiday sweater is an earnest display of holiday cheer. This article is not about those people. It's about ugly holiday sweaters as a fashion statement. It's for those who wear the most outlandish knitted creations accessorized with a dash of irony. Check out this list to know the ugliest sweaters out there and whether you have enough spirit, er, guts to wear them this holiday. Babies are cute. Onesies are cute. Hearts and reindeer are cute too. But, somehow, combining all of the above into one outfit with snaps and buttons isn't so cute. In fact, it brings to mind a famous song: "If loving you is wrong, I don't want to be right." 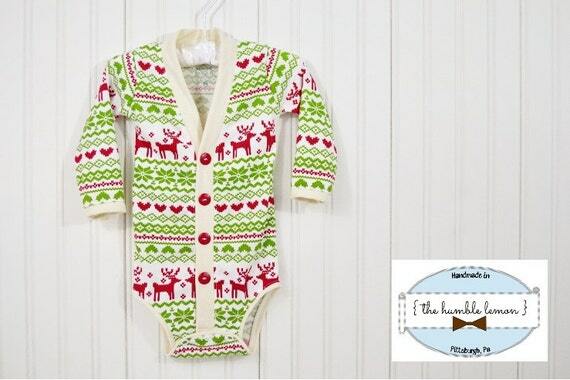 Although there is some cruel pleasure to be had by dressing your little elf in something so hideous, can your conscience really handle that? While the ability to thoroughly embarrass your children in their teenage years with photos of them in their snowflake onesie is tempting, remember—you have to carry them around. Think long about those infant-sized ugly sweaters. New parents, consider yourself warned, and be sure to warn the grandparents. Who doesn't get a kick out of a chubby baby? There's more to love, right? But even at an early age, some babies should learn it's not okay to let it all hang out. 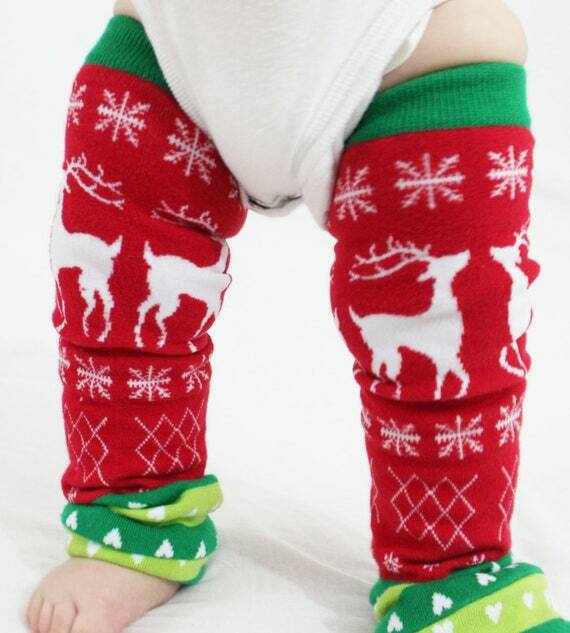 Admittedly, they may serve some functional purpose of keeping your little snowball's legs warm. However, leg warmers really should remain with the jazzercise fad of 1980's. This one earns an "A" for effort and bonus points for getting into the entire Charles Dickens, Victorian-era Christmas theme. There's not much that can be done to make this sweater dress more special, but the color scheme evokes cravings for a chocolate covered after-dinner mint. Also, is no one concerned about the polar bear that this child appears to be napping on? Love cozying up with a friend to watch a movie? Or, better yet, cozying up in matching PJs to watch your favorite show? This sweater offers the ultimate in bonding, but even BFFs may find it too close for comfort. In fact, by the look of it, one of the friends already wants out of the sweater conjoinment. No winter holidays are safe from ugly sweaters. There are ugly Kwanzaa sweaters, too. One of the great hallmarks of Kwanzaa is giving a homemade gift. There's nothing better than receiving a gift that a friend or loved one has poured their heart and soul into—unless that gift comes with ornaments literally hanging off of it. However, while not exactly fashionable, it is functional. Did your unruly dog go berserk and knock down your holiday display, breaking the beautiful decorations? Never fear! Look to your sweater! 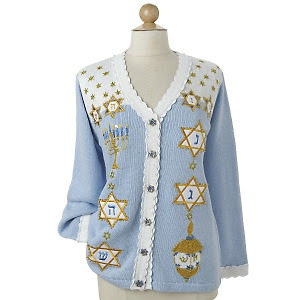 Don't forget about Hanukkah! Instead of Christmas' reds and greens, you'll see royal blue adornments, candles and dreidels. We're especially fond of the blousy nature of this particular find as it doesn't constrict us when we go back for more kugel! Find a gem like this, and you'll win all eight days. Oh, the sweaters outside are frightful! This Frosty-emblazoned (we're saying emblazoned a lot) beauty is the stuff of ugly sweater legend. 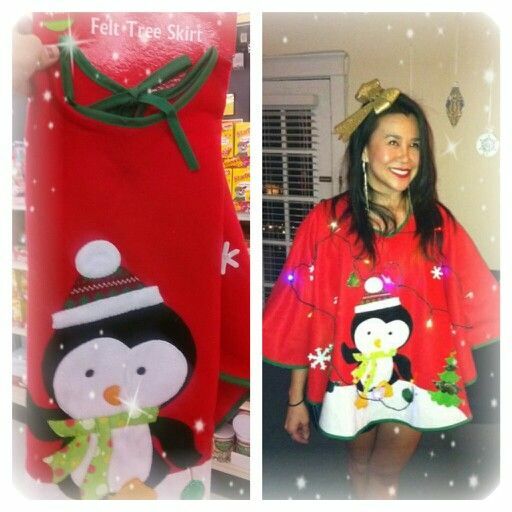 Truly- does anything scream "this is my holiday sweater" more than an iconic Frosty the Snowman (pressed or puffy) painted across your torso? We do love these sweaters though, considering those extra helpings of that homemade pumpkin pie we've been sneaking through the season blend perfectly into the round segments. We'll worry about the weight in the New Year. The holidays are for smiling, seconds and sweaters! People will use puppies to sell just about anything. Vacuum cleaners, cars and everything in between. But dog lover or not, there's nothing fetching about this sweater vest. Although, the question must be asked: do you go for a turtle neck underneath or just rock the vest? Here is an example of one big hairball with tassels to boot. It's a borderline cat-astrophe. It doesn't matter who's wearing it, some sweaters cannot be improved. This one looks like an assemblage of Kris Kringle's mug shots. Consider it Santa's most un-wanted. Plus, what is the fringe lining the piping? Are those feathers from the partridge in a pear tree? Talk about the naughty list. The neckline is daring, the tassels disturbing and the sweater overall confusing. But it's certainly entertaining. As the holidays approach and holiday parties start to fill your calendar, holiday sweaters (ugly and otherwise) come out of hiding. Whatever the occasion, wear your holiday sweater proudly. Be bold, take risks and poke some fun at yourself. At least you won't be boring.